Join the Footprints team and discover meaningful and fulfilling work. Encourage children to explore their unique personalities, their favourite colours, and get messy! Footprints was founded on the idea of ensuring every child is provided with a safe and nurturing environment where they can laugh, learn and develop with support from parents and early years professionals. We also provide the opportunity for our staff to develop and thrive in their roles, and grow their passion for early years education. 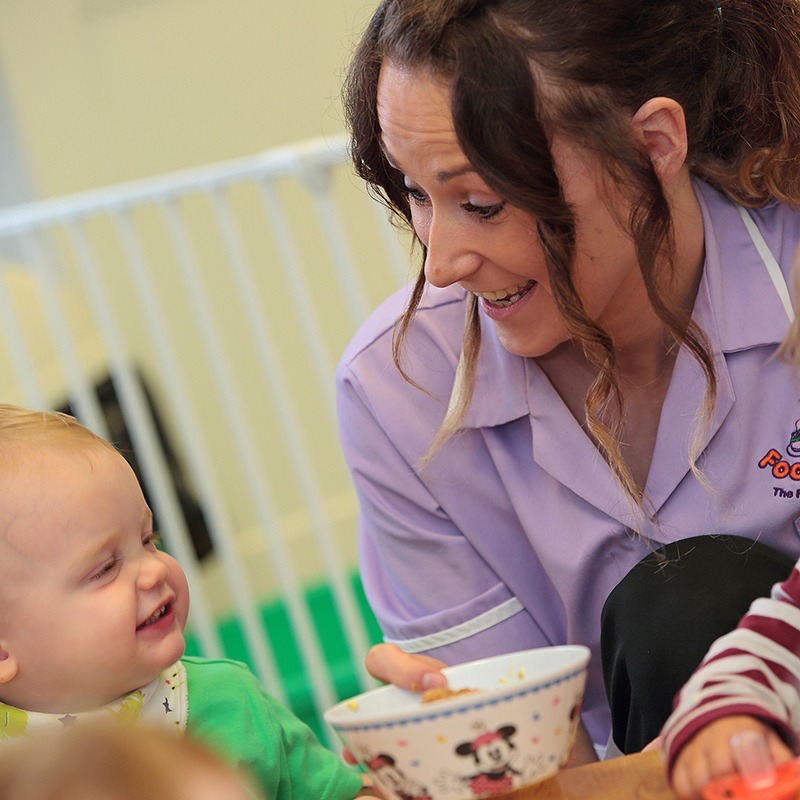 We are proud to say that our Nursery Managers, Deputy Nursery Managers and Room Leaders started out as Nursery Nurses with us so who knows where a job role with Footprints can take you! If you are interested in joining our team, please apply with a short covering letter or e-mail with your CV via the email address below. We look forward to hearing from you.